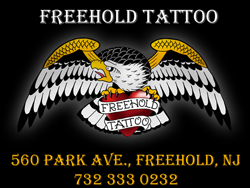 Welcome to Freehold Tattoo Monmouth county’s premiere tattoo and piercing shop, located in the business district of Freehold Boro. 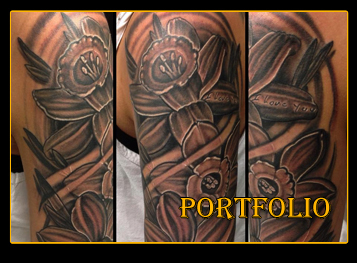 We are a full service tattoo shop offering all styles of tattooing, piercing, h2 ocean aftercare products, and jewelry. 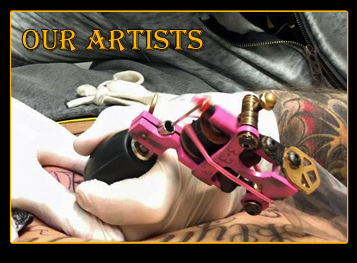 Here at Freehold Tattoo we strive to suit all your tattoo needs whether it be American traditional, Japanese, black and gray, a cover-up, or anything else your heart desires. We provide a clean friendly environment with attitude free artists fully trained in sterilization procedures and cross contamination as to provide a safe and fun experience. So if your looking for a high quality tattoo or piercing at a fair price, or if just want to come check out our flash hand painted by us swing by the coolest shop in the area and check us out. Someone is here 7 days a week to assist you!